On December 16, a South Carolina judge vacated the conviction of George Stinney, Jr., the youngest person executed in the U.S. in the last century. Judge Carmen Mullen wrote: “I can think of no greater injustice than the violation of one’s Constitutional rights which has been proven to me in this case.” Stinney, a black, 14-year-old boy, was convicted by an all-white jury of killing two young white girls. Police said Stinney confessed to the crime, but no confession was ever produced. His sister said in an affidavit in 2009 that she was with Stinney on the day of the murders and he could not have committed them, but she was not called to testify at his trial. The Stinney family was forced to leave town because of danger of violence. His trial lasted just 3 hours, and the jury deliberated for only ten minutes before finding him guilty. He was sentenced to die by electrocution. His attorneys did not file an appeal, and he was put to death less than three months after the offense. The latest edition of the NAACP Legal Defense Fund's Death Row, USA showed a continuing decline in the size of the death row population. The new total of 3,035 represented a 13% drop from 10 years earlier, when the death row population was 3,471. The racial demographics of death row have been steady, with white inmates making up 43% of death row, black inmates composing 42%, and Latino inmates 13%. California continued to have the largest death row, with 745 inmates, followed by Florida (404), Texas (276), Alabama (198), and Pennsylvania (188). Arkansas, which last carried out an execution nearly nine years ago, had a 13% decrease in its death row population since last year. The report also contains information about executions. Since 1976, 10% (143) of those executed were defendants who gave up their appeals. On October 20, the U.S. Supreme Court agreed to hear Chappell v. Ayala (No. 13-1428), a death penalty case from California in which all the black and Hispanic potential jurors were struck from the defendant's trial. Hector Ayala was convicted in 1989 of three murders in San Diego. At his trial, Ayala's attorneys argued that the prosecutor was improperly striking jurors on the basis of race. The judge reviewed the prosecutor's explanation for the strikes without defense attorneys present, saying it was necessary to protect the prosecutor's trial strategy, and concluded the strikes were not racially motivated. The California Supreme Court found that any potential constitutional error related to the racial makeup of the jury or the subsequent closed review was harmless, rejecting Ayala's appeal. The U.S. Court of Appeals for the Ninth Circuit granted Ayala relief and ordered California to retry him. The 9th Circuit held that the constitutional issues could be reviewed without deference to the state court opinion because no ruling based on federal law had been made against Ayala, and that the errors made at trial had an injurious effect on the jury's verdict. The Supreme Court will consider whether more deference was due the state court's decision and whether the 9th Circuit used the correct standard in determining that the trial errors were harmful. 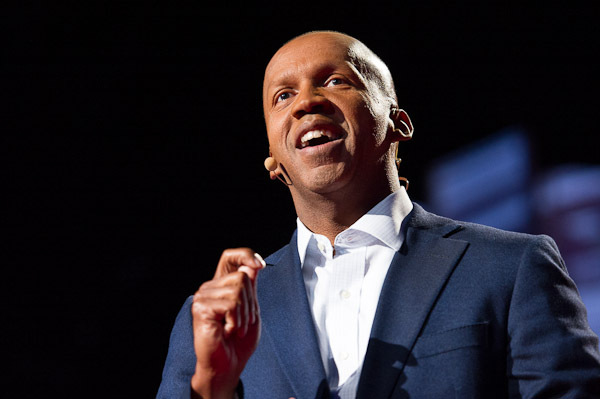 In a recent column in the New York Times, Nicholas Kristof highlighted the work of Bryan Stevenson (pictured), referring to him as "America's Nelson Mandela." Stevenson, the founder of the Equal Justice Initiative in Alabama, has focused his career on representing indigent defendants, especially those on death row throughout the south. In his new book, Just Mercy, Stevenson tells the story of representing and eventually winning the exoneration of Walter McMillian, a black man unjustly convicted and sentenced to death in 1988 for the murder of a white woman in Alabama. Kristof asked Stevenson if "such a blatant and racially tinged miscarriage of justice" is less common today. Stevenson said, "If anything, because of the tremendous increase in people incarcerated, I’m confident that we have more innocent people in prison today than 25 years ago." An article in the most recent issue of the Virginia Quarterly Review examines the practice of excluding African-Americans from jury service, particularly in death penalty cases in North Carolina. In Bias in the Box, Dax-Devlon Ross notes, "Alongside the right to vote, the right to serve on a jury is an enduring pillar of our democracy....Nevertheless, there is perhaps no arena of public life where racial bias has been as broadly overlooked or casually tolerated as jury exclusion." Ross traces the history of civil rights litigation that secured blacks the right to participate in juries, but he also shows the continued use of strategies to remove them from service. In particular, the repeal of North Carolina's Racial Justice Act in 2013 removed an important protection of equality in jury service. Before the act was rescinded, a special court reduced the sentences of four death row inmates because of patterns of racial bias in jury selection. In one case, a prosecutor's notes described potential jurors as "blk wino - drugs" and as living in a "blk, high drug" neighborhood. Ross quotes a number of potential black jurors who wanted to serve in North Carolina but felt they were excluded because of their race. A 2014 study by Professors Cynthia Willis-Esqueda (pictured) of the University of Nebraska-Lincoln (UNL) and Russ K.E. Espinoza of California State University found that white jurors were more likely to recommend a death sentence for Latino defendants than for white defendants in California. Researchers gave case descriptions to 500 white and Latino people who had reported for jury duty in southern California, then asked them to choose a sentence of life without parole or death. The description was based on a real capital case, but each juror was given one of eight scenarios which altered the race and income level of the defendant and the amount of mitigating evidence. White jurors recommended a death sentence about half the time for Latino defendants who were poor, but only one-third of the time for poor white defendants. By comparison, Latino jurors recommended a death sentence only about one-quarter of the time, regardless of the ethnicity or socioeconomic class of the defendant. Baptist minister and civil rights leader Rev. Al Sharpton spoke in opposition to the death penalty in a recent debate at the Yale Political Union. Sharpton noted the dispropotion of blacks who are to sentenced to death compared to whites. He also raised concerns about the risk of executing the innocent, pointing out that many inmates have been exonerated from death row. He said the lower murder rates in states that do not have the death penalty indicate the death penalty does not deter murder. “We are not preventing anything, and we are not providing justice,” he concluded. “We cannot answer murder with murder.” Student representatives from a variety of political groups offered arguments both in favor of and opposed to the death penalty. 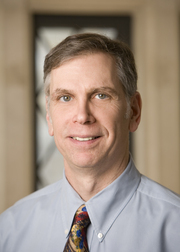 A newly published study by Professor John Donohue of Stanford Law School found that arbitrary factors, including race and geography, significantly affected death sentencing decisions in Connecticut. While controlling for a variety of factors related to the severity of the crime, the study's abstract indicated that "[M]inority defendants who kill white victims are capitally charged at substantially higher rates than minority defendants who kill minorities, [and] that geography influences both capital charging and sentencing decisions . . . ." For example, the abstract noted, "Considering the most common type of death-eligible murder – a multiple victim homicide – a white on white murder of average egregiousness outside [the city of] Waterbury has a .57 percent chance of being sentenced to death, while a minority committing the identical crime on white victims in Waterbury would face a 91.2 percent likelihood." 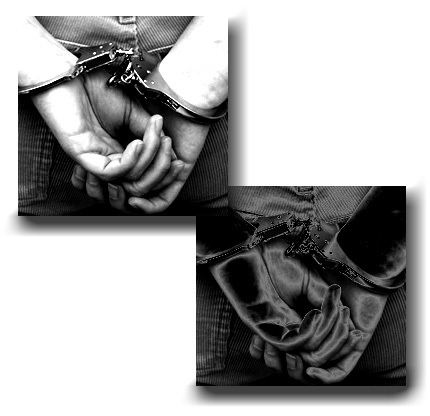 The second defendant is 160 times more likely to be sentenced to death than the first. The study concluded, "[I]n part because of the strong racial, geographic, and gender influences on capital outcomes in Connecticut, the state’s death penalty system has not been successful at limiting the death penalty within the class of death-eligible crimes to the worst of the worst offenders or establishing that there is a principled basis for distinguishing the few death-eligible defendants that will be sentenced to death in Connecticut from the many who will not."